What would Thanksgiving be without the Cranberry sauce? 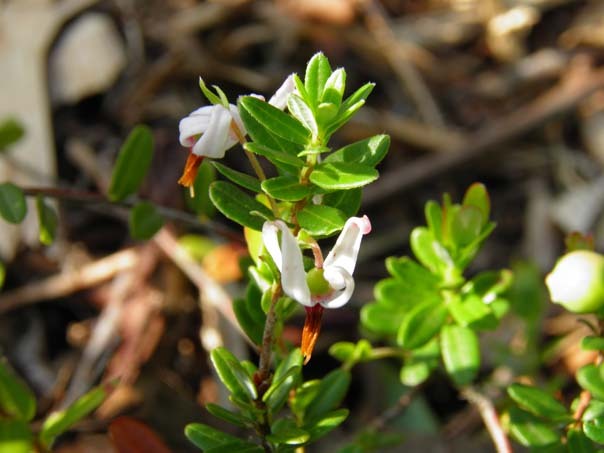 This is one native North American plant the settlers were grateful for. 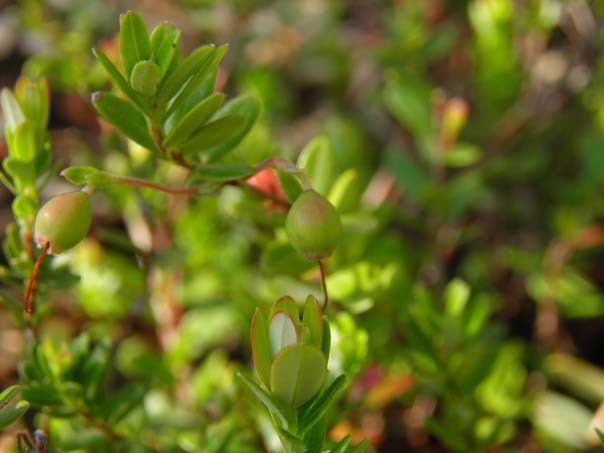 Early settlers learned from the Native Americans to use the berry for treating many problems including scurvy, digestive problems, loss of appetite and blood disorders. 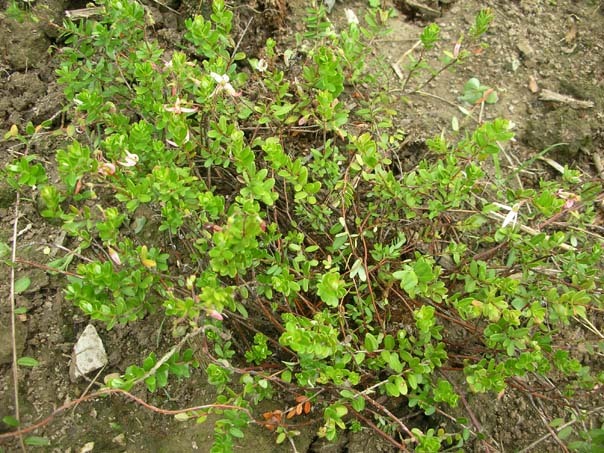 They even applied the raw, crushed berries directly on wounds to aid healing, keeping infection away. Cranberry is high in antioxidants, calcium, niacin, phosphorus, potassium, and vitamins A and C. Cranberry also contains average amounts of iron, magnesium, manganese, protein, riboflavin, silicon, sodium and thiamine and low amounts of chromium, cobalt, selenium and zinc. 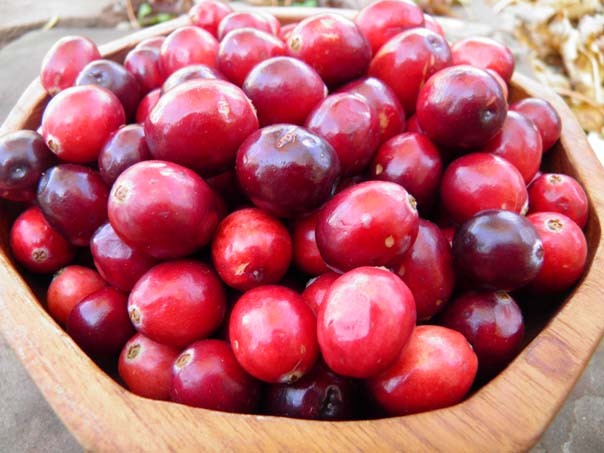 Medicinally, Cranberry is antibacterial, anti-inflammatory, antioxidant, antiseptic, astringent, diuretic and a vasodilator. 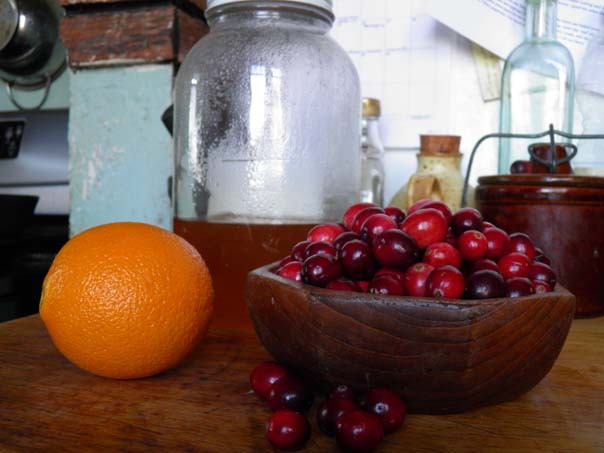 While Cranberry alone may not be enough to eradicate a bladder infection, the use of straight, unsweetened juice is an important first step. As an antibacterial, Cranberries are the first herb to call upon for a urinary tract infection as Cranberry prevents bacteria from attaching to the walls of the urinary tract. I find by drinking unsweetened Cranberry juice, taking Echinacea and drinking extra water, my Bladder infections go away quickly. Studies are now showing Cranberry as an antibacterial is effective in preventing E. coli and Staphylococcus from sticking to the cells in our body. 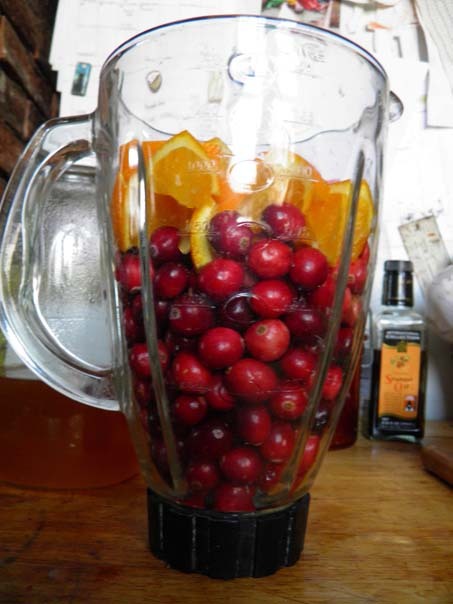 Cranberry will stimulate the bladder and increase the flow of urine without depleting potassium from the body as many chemical diuretics will do. Though Cranberry is good for treating urinary tract infections, avoid Cranberry if you have cystitis as the acidity of Cranberry will increase the irritation and make the situation worse. Eating the berries is good for you, they aid in the digestion of protein and fat. Native Americans used to combine dried meat, animal fat and ground up Cranberries together to make pemmican, a travel food that would keep for a long time without any other preservation. Not only did the Cranberry add flavor and important vitamins to their diet but it also aided in digesting this on-the-go meal which consisted of protein and fat! Their cooling effect on the body is helpful for helping to lower fevers. Drink the juice as tart as you can stand it. Not only will it help bring down the fever but the vitamin C content will help your body to fight off any infection and boost your immune system. A paste made from fresh Cranberry can be applied to skin inflammations or other wounds to soothe, cool and prevent infection. 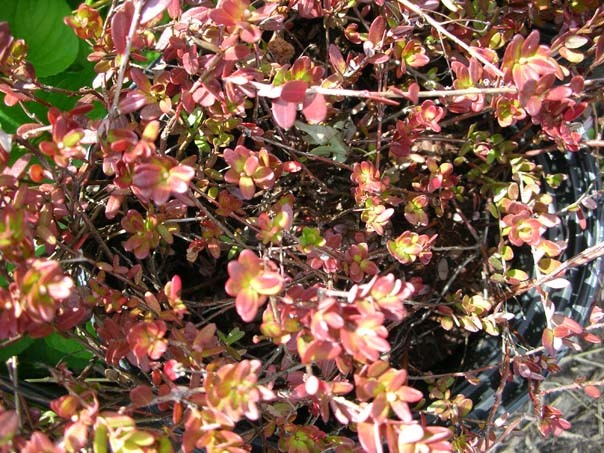 Cranberry has one of the highest concentrations of antioxidants, more than other common fruits. These antioxidants have proven to have protective effects against the cardiovascular system. Those who suffer from asthma may find it beneficial to add Cranberry to their daily diet as his vasodilator effect opens up bronchial tubes and helps to restore normal breathing. For an acute attack or bronchial illness, drinking unsweetened cranberry juice may help to restore normal breathing. As you can see, adding Cranberry to your diet is a good thing to do! Personally, I never liked Cranberry sauce growing up. It was something I’d always pass on when it came around to me at the Thanksgiving table…that dish of jiggly deep beet colored goo just didn’t appeal to me. Even as an adult, I just didn’t care for it. It probably didn’t help that I was never a fan of Jell-o and it reminded me of that equally unappealing dish. Fast forward many years into adulthood where I had dinner at my cousin’s house and got to try her version of Cranberry sauce. It looked so delicious, so unlike Cranberry sauce, that I couldn’t resist. And boy, am I glad I didn’t! To this day I still haven’t tried the conventional stuff that comes out of a can, and because I know this recipe, I will never have to. Nor will my kids have to be subjected to it! And now, you won’t have to be either because I’m sharing with you the best ever way to make Cranberry sauce, no cooking necessary! Better yet, there are only 3 ingredients involved in it! Like this recipe? You’ll find this and many more delicious and healthful recipes and remedies in this month’s issue of Herbal Roots zine which is all about Cranberry! You can grab this issue right now for just $7.99 in our shop. I also add an apple to a similar recipe I make. I have a similar recipe and I add apples and chopped walnuts. Thanks for such yummy fun recipes! What a great article! I am going to incorporate cranberry into my diet more regularly. Can’t wait to try this recipe. This recipe sounds so delicious, can’t wait to try it. I’ve always hated the stuff in the can, too, & for years have made cranberry sauce by simmering the berries with sugar. Love your recipe with honey & no cooking much better, thanks! So happy to see this recipe! This is the sauce I grew up with. 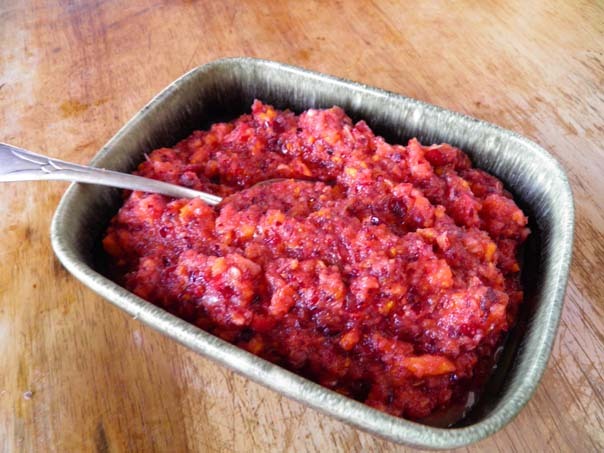 My grandmother always made it; we called it cranberry relish though. Now I make it for my family and I always make enough to have lots and lots of left overs. We eat it for snack all the time and it’s even great over vanilla ice cream or sorbet. I always buy extra bags of berries to enjoy off season (I keep them in the freezer). It’s very refreshing in the summer! I’m thinking I might add a little orange juice and make popsicles with it next summer. i like to simmer them briefly with apple cider and cinnamon sticks for a citrus free treat..i can’t do citrus (inflammatory) and raw vegs/fruit don’t agree with me. I do a similar relish with tangerines, and pomegranate seeds. I am making this recipe for 26 people. How many servings does the recipe call for? Depending on how much each person would eat, I would double or triple the recipe. Each batch will make 6 – 8 servings. 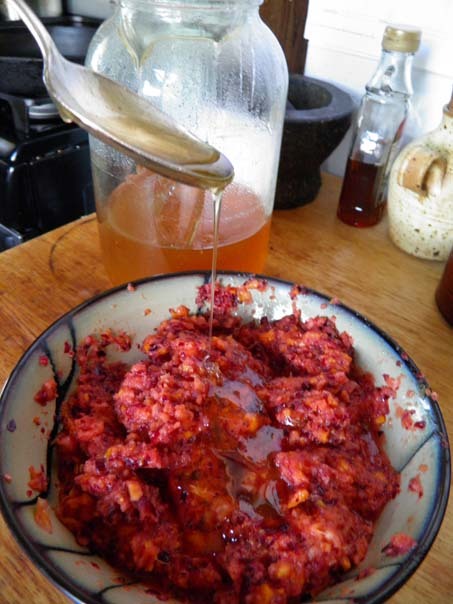 I loved this….the jellied stuff doesn’t really cut it for me but this hit all the right spots for cranberry lovers….although I added walnuts to it at the end….Delicious!